On Wednesday, October 3, 2018 Mae Mouland passed on to a permanent residence in glory. Mae was born in Pembina, Saskatchewan on February 28, 1927, the only daughter of Fred and Clara Mouland. She attended public school in Pembina and high school in Swift Current. She then continued her studies at Briercrest Bible College in Caronport, Saskatchewan. In 1950, Mae came to Thunder Bay, and for 35 years served as Assistant Director at Dorion Bible Camp. During winter months, she taught Bible classes in city and country schools for 38 years. When religious education was discontinued she worked for 11 years as a sales clerk at Hull's Family Bookstore, retiring in 1999. 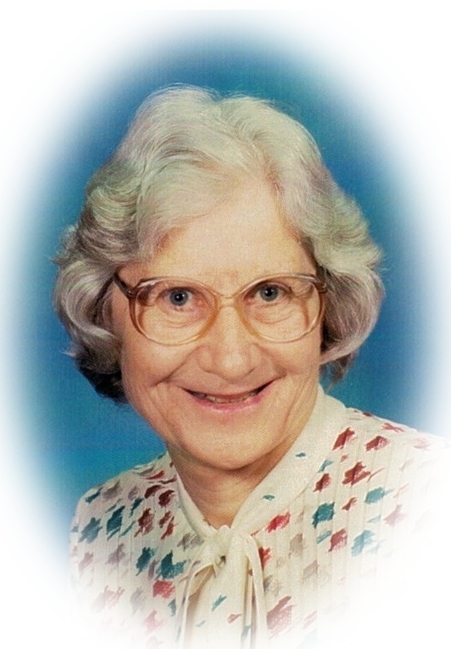 Mae was a faithful member of Faith Chapel for many years where she taught Sunday school and played organ and piano. Her musical talents were appreciated for many years as she played regularly at senior citizens residences throughout Thunder Bay. Along with Bible teaching, Mae's main interests included volunteering, sports, travelling and helping people in general. She was one of Thunder Bay's most popular cat sitters. 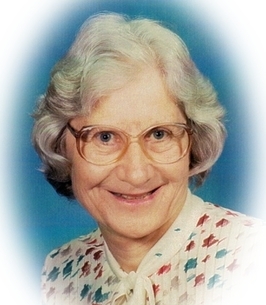 Mae was predeceased by her parents, as well as two brothers in 1992. She is survived by four nephews and two nieces. Friends are invited to attend a service of celebration and remembrance at 2:00 pm on Saturday, October 13, 2018 in The Summit Church, 515 Syndicate Avenue North. As a tribute to Mae, donations to Dorion Bible Camp would be greatly appreciated. To plant a tree in memory of Miss Mae Mouland, please visit our Heartfelt Sympathies Store. We encourage you to share any memorable photos or stories about Miss Mae. All tributes placed on and purchased through this memorial website will remain on in perpetuity for future generations. My brothers, Robert and Teddy and myself remember Miss Mouland and Miss Moyer who came to Jumbo Gardens school and also after we each learned and recited 100 verses from the bible, we got to go to Dorian Bible Camp and thoroughly enjoyed those summers.. they were both special people. Remembering this lady with great fondness and emotion. She taught bible to us at Jumbo Gardens in Grade 1. I then went on to Dorion Bible Camp to be a camper and later staff. Rejoicing in her graduation to Heaven to be in the presence of her Lord and Saviour and the many who have gone before her. Sad for us who will remember her legacy at Dorion, Hulls, and our city in general. Well done thou good and faithful servant. Precious in the sight of the Lord is the death of His saints.